Populära roliga Fini Camel Balls tuggummi med en extra sur körsbärs fyllning i mitten. Funny! 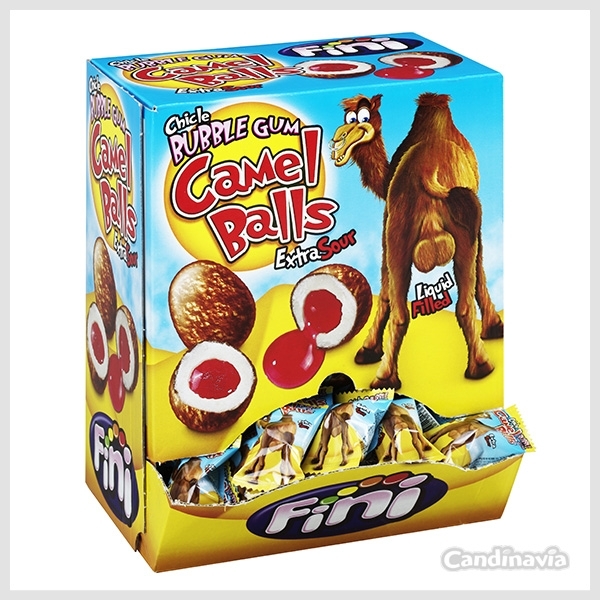 Fini Camel Balls Bubblegum containing 200 indivually wrapped pieces of gum - a hard bubblegum shell with an extra sour cherry filling in the centre.